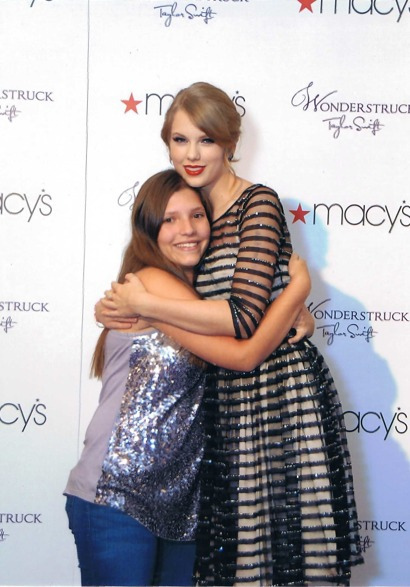 Today Bri tells us how she met Taylor Swift. We were at the Macy's meet and Greet at NYC Wonderstruck Perfume Launch on October 13th, 2011. I went up to her, she thanked me for coming. I told her how I wanted to meet her for so long and how she was a role model and inspiration to me. She grabbed my hands, squeezed then and thanked me so much for supporting her. She also thanked me for wanting to be like her, told me how sweet it was and then she hugged me. I took a hugging picture and she said it was nice meeting you and hugged me again"